A gimbal can keep your camera level and pointed forward, but if it wasn’t able to turn with you while you follow a subject, it could be very frustrating. So most gimbals now have a “follow mode,” where it electronically pans and tilts along with you as you turn the gimbal left and right, or want the camera to point up or down. 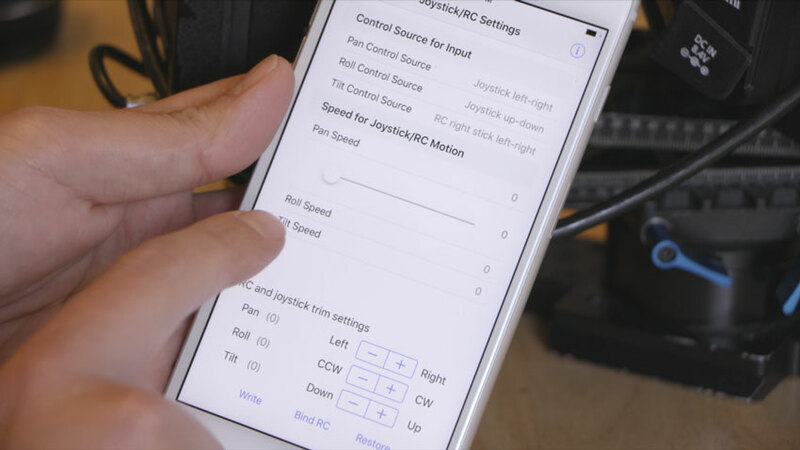 The speed of the gimbal’s follow mode can usually be adjusted in the software, and it’s important to consider the speed you want depending on the kind of shooting you want to achieve. If you’re shooting action sports, or walking along with a subject who is turning often, you may want the follow mode to be super responsive. But for most shooting, the ideal speed of the pan and tilt follow is slow, steady, and cinematic. If your follow mode is too slow, however, you might have issues with the gimbal not panning fast enough while you’re turning. In a car, for example, every time the car makes a turn, the gimbal will try to pan along with you toward your new direction. And if it can’t keep up with the speed of the car, your camera may hit the far side of the gimbal and you’ll lose your shot. 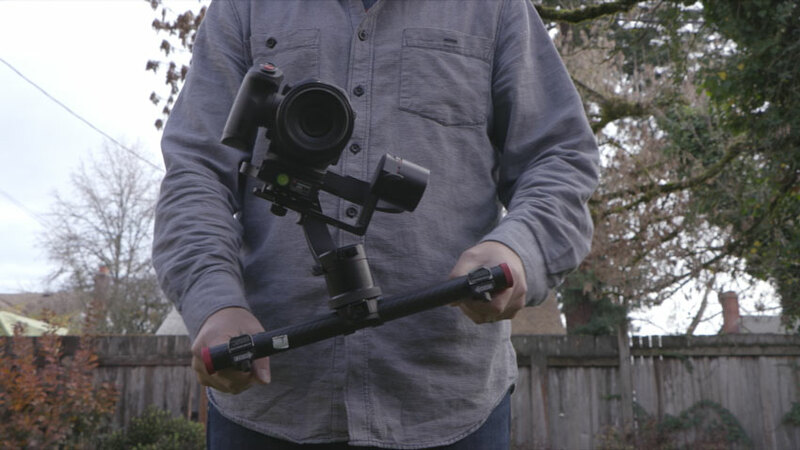 Some gimbals have a mode where the gimbal locks its pan and tilt axis, so the camera maintains its forward direction no matter if you move it up and down like a jib, or turn the gimbal either left or right. This mode is perfect for maintaining a straight shot while walking forward or backward. The gimbal technology is moving fast, and there are some gimbals now with more powerful motors, which give you the ability to adjust the camera horizon level simply by holding the camera in position for a couple seconds. This is helpful in cars, airplanes and helicopters, or anytime the gimbal loses its horizon and you can’t stop the vehicle to reset the gimbal motors. Additionally, the more powerful motors allow you to enable “follow mode” in the roll axis, so your camera can rotate along with you as you make turns, simulating an airplane or a bird’s perspective as it makes turns.